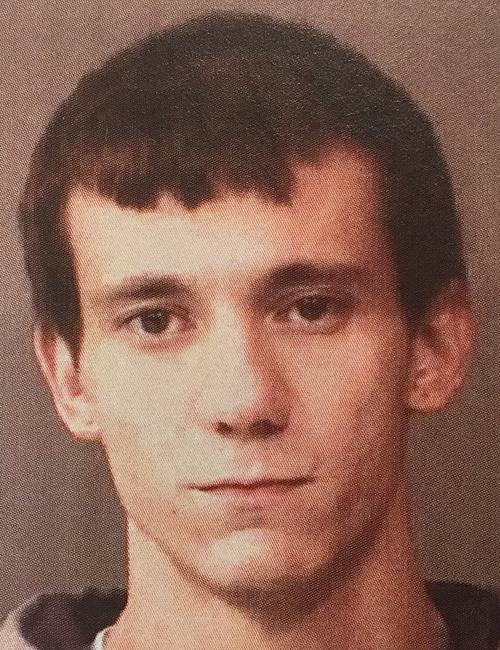 KOSCIUSKO — A Warsaw man received a 27-month sentence in Kosciusko Circuit Court Monday, March 18; however, two of the sentences will be served concurrently, meaning his time behind bars will be reduced to 18 months. Kevin Daniel Gibson, 32, 3699 N. Greenwood Drive, Warsaw, pleaded guilty to three charges in two different cases. In the first case, Gibson was found guilty of possession of methamphetamine, a level 6 felony; and theft, a class A misdemeanor. In the second case, Gibson pleaded guilty to possession of methamphetamine, a level 6 felony. On May 18, 2018, an officer with the Warsaw Police Department observed a vehicle that matched the description of a vehicle involved with a theft. The officer followed the vehicle and performed a traffic stop. While approaching the vehicle, the officer detected a strong odor of marijuana. The driver was identified as Gibson. According to the affidavit of probable cause, the officer observed marijuana inside the vehicle. At this point, Gibson was instructed to exit the vehicle, and a vehicle search was conducted. Inside the vehicle, the officer located the previously seen marijuana along with a bag of methamphetamine. Regarding the theft charge, in April 2018, employees of PNC Bank stated that Gibson came into the bank and attempted to cash a check from Hua Mei Chinese Restaurant, doing business as Wong’s Restaurant, signed by Ting Zhen. The check was for the amount of $560. When the bank employee ran the check, the computer showed a stop payment on the check because it had been stolen. Gibson told the employee that he had to pick up his kids from daycare and quickly left, leaving the check and copies of his identification behind. Police spoke with Zhen, who advised that on April 11, a vehicle belonging to the family was parked at the restaurant and broken into. A briefcase containing paperwork and checks was stolen. One check, in the amount of $300, was cashed on April 17, by Gibson. Judge Michael Reed sentenced Gibson to nine months in the Kosciusko County Jail for each of the three charges. Two of the sentences were ordered to be served concurrently. Reed stated he had no objection to the executed portion of the sentence being served through work release or community corrections, providing Gibson is qualified and remains qualified. Gibson was also ordered to complete a substance abuse evaluation and any recommended treatment. A remaining charge was dismissed, pursuant to the plea agreement. Jail time credit to be determined at a later time.